A couple times a year, Jeannie K. Dukic of Whee! 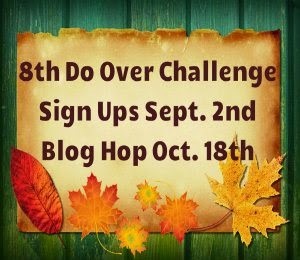 The People and the creative genius behind JKD Studio hosts a challenge where she sends out several designers a piece of jewelry that she made sometime in the far past and we get to remake it. I have taken part a few times and I do have to say that it really is a blast because I have NO idea just what I will receive. Now historically, I always have issues getting a 'before' pic so I am quite proud of myself for remembering and not loosing it when my hard drive crashed. As you can see, I was lucky enough to receive a memory wire bracelet with some bold resin and wooden beads. Some of the beads were quite a bit larger then what I am used too. And they looked so good in their current incarnation. They looked so good in fact that I wanted to keep them together in some fashion and I have really been on a bracelet kick lately. So a bracelet it would be but with my own twist. I dug out some Greek leather that I had in a drawer and some more wooden beads. And I made up a wrap bracelet that is longer, actually long enough to convert to a fun necklace. And I do have to say that I am pretty happy with it. Thank you Jeannie giving me that push (yet again) to work with beads that I wouldn't have normally chosen. I end up having a blast every time. Now be sure to check out what everyone else has made. 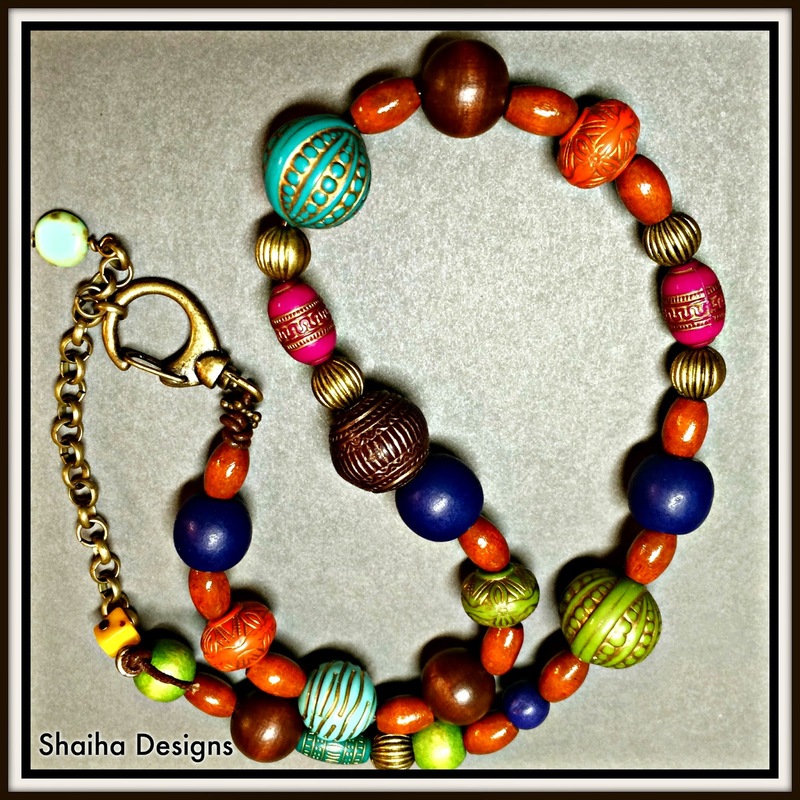 I like the additional wood beads in this bracelet! It really warms things up, gives the bracelet a cohesiveness, and makes the other colors really stand out! Great job, Shai! Those extra beads really give it that extra oomph. Lovely job. You are so kind Shai. It makes me very happy to read that I have "pushed" you and you have a blast every time. Your reincarnation is remarkably cool. It just looks and "feels" so easy. Thank you for participating and I'll see you next time around. 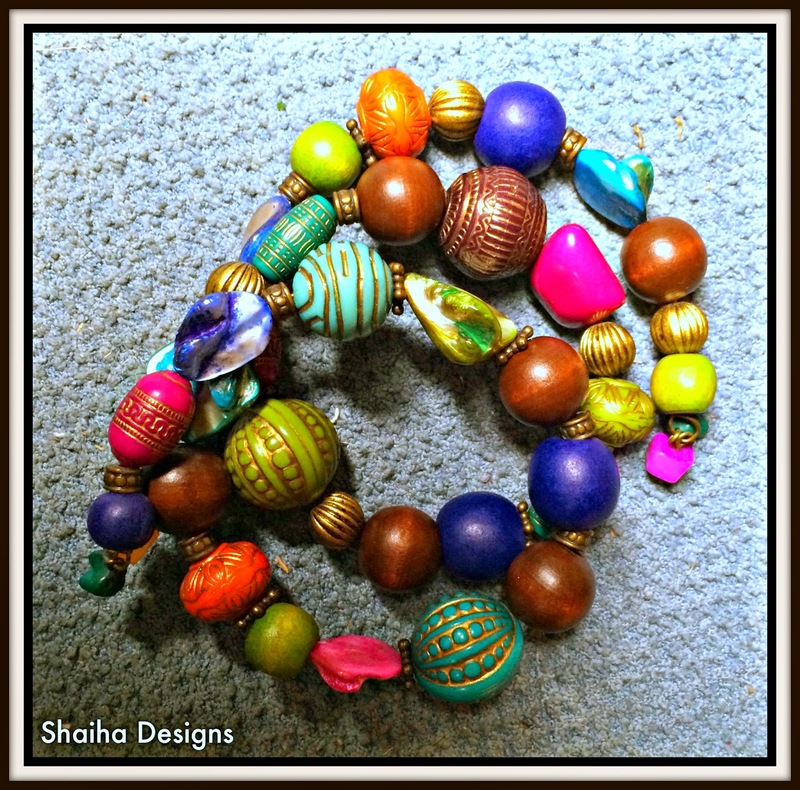 I love the bright colors in the beads of the bracelet you received, and the versatility of the design is awesome. Beautiful job! I love the "before", and I REALLY love the "after"! You did such a great job with the bold, beautiful beads; I would never have guessed that it was outside your comfort level. Jeannie is right...it just feels easy and effortless! I love the fun spunky bracelet! I love the bold colors in the piece you got, and you remade it into something wonderful! 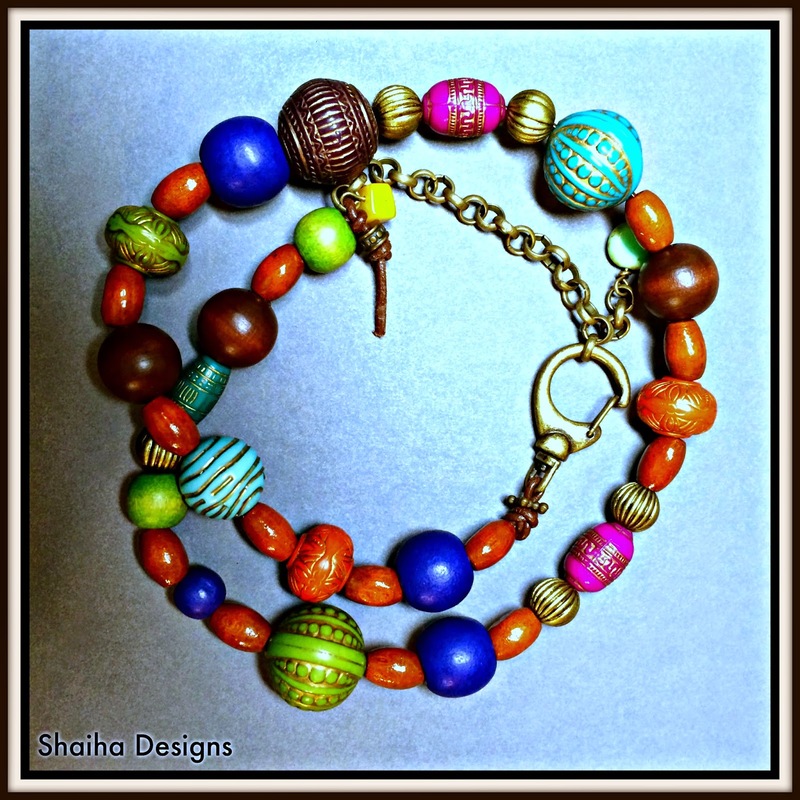 You sure kept the feeling of the original, while making a fun and wearable bracelet! Two looks with one design. I love it. You were right though, those colors looked great just the way they were! The colors reminded me of India for some reason (even though I have never been there).